HARARE City midfielder Moses Muchenje looks forward to healthy competition for places after the arrival of new players. The Sunshine Boys brought in players such as Walter Mukanga, Marshall Machazane, Milton Ncube and Collins Mujuru. Mukanga formerly of Ngezi Platinum plays a similar role in midfield to Muchenje who was a mainstay in Mark Harrison’s team since he joined at the beginning of 2018. Muchenje said he looks forward to playing alongside Mukanga who he admires. “I think the competition is very healthy, I am looking forward to playing with him, we call him ‘Baba Moses’ so I enjoy being like a son to him, he is my father. “I have always admired him from when he was with Dynamos and Ngezi so in as much as he is now a teammate I hope to learn a lot from him more than competing with him,” he said. The former CAPS United captain believes they have better squad depth than the previous season with these new additions. “I think the new signings will obviously add depth to our squad, they are a big part of the club’s plans so we are working hard to be better. “I think comparing to last season we have a good squad so we want to do better than ninth. “Anyone can play and still do well for us, I am happy here and look forward to a very positive season,” he added. Harare City were among the teams relegated during the 2017 season but would participate in 2018 after one of the teams withdrew due to financial reasons. 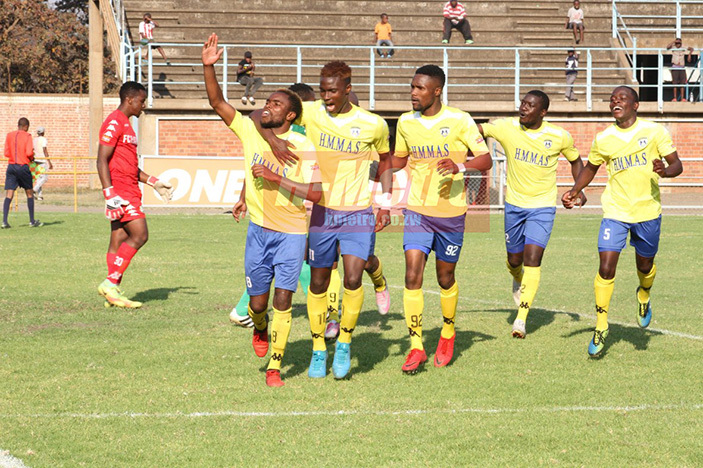 Harrison took charge of the team as they largely embarked on a rebuilding exercised in 2018 guiding them to ninth in the league and a Chibuku Super Cup final. Muchenje feels they can also fight for the title. “We can compete, there is no reason why we shouldn’t. Like l said we have a strong squad so we go into the season with the title in our sights and see how far we go,” he said.